Spaces available so to be first on the list contact the Clerk NOW! Linton Parish Council Owns Allotments just East of Sugar Tump, fronting Linton Road in Gorsley. If you think you would like to try running an Allotment plot but not sure about the size, ask us about taking a half plot. The allotments are gated and there is a mains water supply on site. 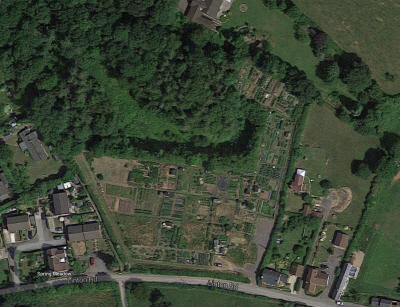 There are 26 allotments, 24 of which are approximately 42 ft. by 42 ft. and cost £52 p.a. Contact the Clerk (01989 730 201 or email for further details.